1981 Foscarini Spa set up on Murano island (Venice). 1983 First collection of lamps designed by Carlo Urbinati and Alessandro Vecchiato. 1985 First collection in collaboration with external designers: wassily off the wall by Adam Tihany and Joseph Mancini. 1988 Carlo Urbinati and Alessandro Vecchiato become the company owners and managers. 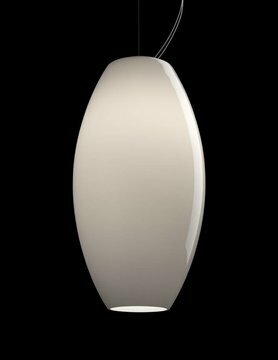 1990 Rodolfo Dordoni designs lumiere,Foscarini's first major success. 1992 ORBITAL, Ferruccio Laviani’s debut lamp, is the first Foscarini lamp made of industrial glass. 1993 HAVANA, designed by Joseph Forakis, is the first Foscarini lamp made of a material other than glass, namely polythene. 1994 Foscarini moves from Murano island to Marcon, on Venetian terra firma. 1996 The company is among the first in the industry to receive UNI EN ISO 9001 quality system certification. 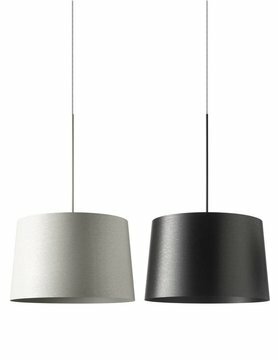 2000 The MITE and TITE, lamps developed in conjunction with Marc Sadler are launched. The same year, Foscarini launches its first corporate identity communication project. 2001 Foscarini and Marc Sadler, thanksto the MITE and TITE, lamps, areawarded the Compasso d’Oro for “the bold technological innovation”. 2002 Lux magazine, Foscarini's first publishing experience, starts off. 2003 The new Foscarini facility is inaugurated in Marcon (Venice). 2007 TRESS Marc Sadler – 2008, LE SOLEIL Vicente Garcia Jimenez – 2009. 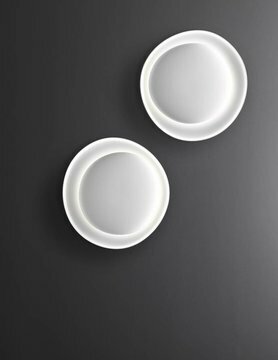 These products can truly express their innovative and design culture contents, owing also to the company's accrued experience in all fields: from technology, to communication, to logistics. 2008 Foscarini becomes the official sponsor of the Venice Biennale Exhibition. 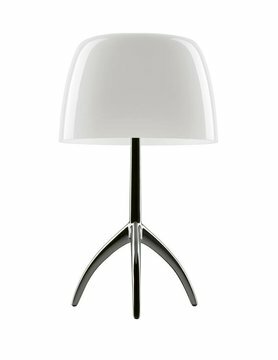 2009 Foscarini and Diesel sign a licensing deal, as part of the “Home Collection” furniture and lifestyle project. 2010 Foscarini presents a new publishing adventure, mid way between a book and a magazine, called “INVENTARIO – Everything is a project”. 2011 On the occasion of Euroluce, Foscarini presents 15 new models which are joining the collection, along with 4 new Diesel lamps in a multimedia booth designed by Ferruccio Laviani. With the collaboration of the Poldi Pezzoli Museum, the first cover page of Inventario gives rise to the “Di Vaso in Fiore” exhibition. of the movies - the inspiration and charm behind some of the best sellers in the collection. Together with the Poldi Pezzoli Museum and Inventario, the “Fare Lume” exhibition is presented. 2013 Thirty years on from the first collection of lamps, Foscarini opens two new venues in the cities which symbolise contemporary design: Milan and New York. Not simple showrooms, but rather locations that aim to be the spokesperson of the company's values of innovation and creativity, in which to tell stories and to transmit emotions. 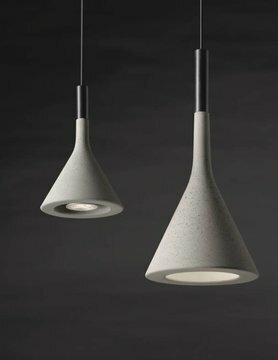 On the occasion of Euroluce, in a booth designed by FerruccioLaviani, Foscarini presents its new models which are joining the collection, along with 4 new Diesellamps in a dedicated space. the “Intorno al libro” exhibition is launched.